Definitions regarding Persuasive Technology are often introduced with the accompanying remark: without using coercion and deception. For this position paper, we investigated, evaluated, and discussed the term Persuasive Technology and its connotations. 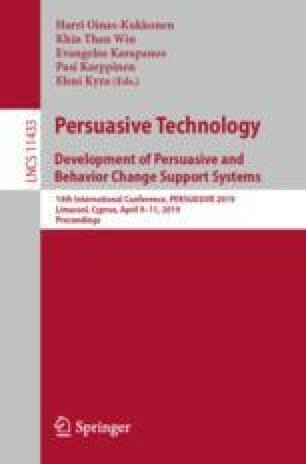 We invesstigated whether Persuasive Technology is perceived with negative connotations such as coercive and deceptive, and, how in comparison, similar labels (such as Behavior Change Support System and Digital Behavior Change Intervention) were perceived. We conducted an online survey where participants (N = 488) rated their attitude towards these systems in the context of a system description, indicated to what extent they agreed with 10 descriptors (such as, manipulative, motivating, or supportive) in the context of a system description, and whether this system in general, is at risk of being perceived as coercive, manipulative, deceptive, or propagandistic. We found that when considering risks of systems in general, labeling them as PT results in them being perceived significantly more forceful than all other labels, and switching the labeling of a system to Digital Behavior Change Intervention results in them being perceived significantly more captivating compared to a neutral system label. The findings suggest that when choosing labels to use for technology or systems it is essential to consider the impact labels can have on how the system or technology is perceived, regardless of the actual function of the system. These findings are relevant for the field of Persuasive Technology and the Persuasive Technology conference specifically. This paper is meant to spark further discussion in the field and at the conference. We thank Randy Klaassen & Dennis Reidsma for their contributions, and students River & Thomas for their exploratory literature review, and the PT research community for inspiring this research.